Julian and I (Philippe) discovered it about 12 years ago in a NYC beverage cooler at a boutique grocer. At the time, we didn’t really know what it was, and we thought it tasted so foul that we actually tried to return it. We were later told by the manager that the “off” taste was an “inherent taste of the elixir”. It ended up in the recycling bin with almost its full content intact. At that time, it certainly wasn’t like it was now with all the flavor profiles and artisan brand varieties. 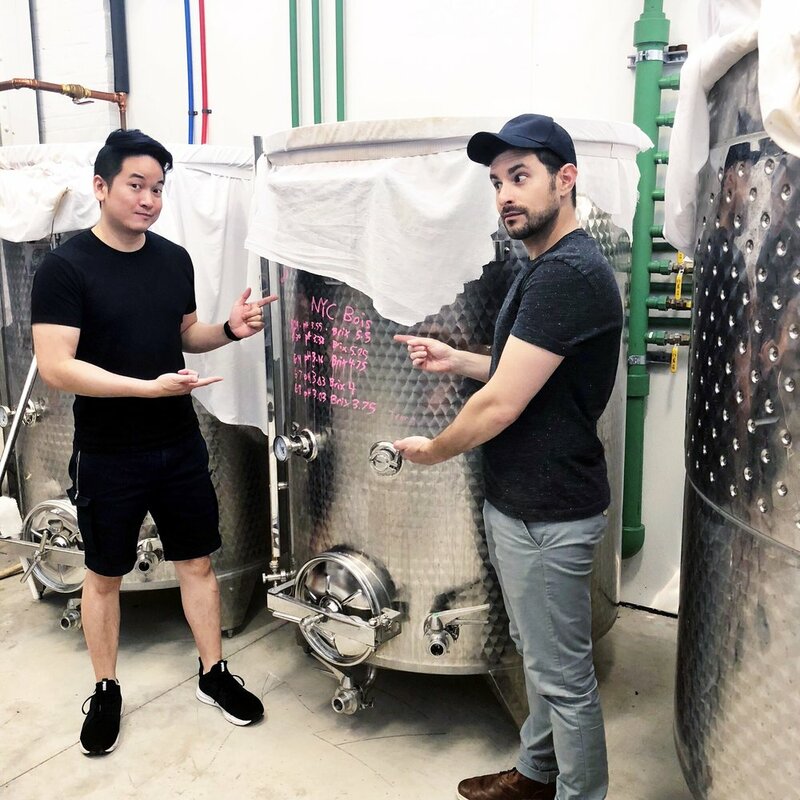 Julian and I always dreamed of creating a product that was inspired by our love for the combination of our lives in rural Hudson Valley and bustling New York City. But we’ve also had a commitment to health and well being. Our commitment took on a whole new meaning in 2016, when Julian was diagnosed with neurological Lyme disease. It’s commonly misdiagnosed, and debilitating. It stunningly affects about 300,000 people each year. In our desperation, we researched things like crazy, and found that about 70-80% of our immune tissue lies within our digestive tract. Due to my experimentally driven nature, I actually had been dabbling into kombucha making for quite some time prior to Julian’s diagnosis. I thought I could do it better, and it was a really interesting outlet for me. But it wasn’t until Julian fell ill, and we researched gut health, that I really dove into it. I just wanted to make everyone better, especially Julian. I wanted it to be great tasting, too, so even people that were turned off by kombucha (including Julian at that time), would drink my home brewed kombucha and love it. After a while, I started experimenting with super-herbs like ginger, elder flower, and lavender for flavor complexity, and the rumored benefits to them. I do feel our focus on healthy lifestyle choices, especially those affecting the gut, were, at least in part, a contributor to Julian’s road to recovery. In 2018 our brand, Seek North, was picked up by luxury grocer, Dean & Deluca throughout NYC. We wanted to do something different. Drink by drink, we wanted to promote awareness and change. We just picked up some kombucha during our last trip to Barcelona from a brand called Kombucha LAB. It was called ‘Grandma’s Elixir’, flavored with only honey and herbs. It was so exciting to see other kombucha brands in European countries. In our previous travels, it was so hard to find overseas. “Live Your Journey”. Life is a journey, and one that should be lived to its fullest, healthiest extent. We want to help others be inspired by this. We wanted people to take this journey with us, and spread awareness simply by them picking up one of our bottles.